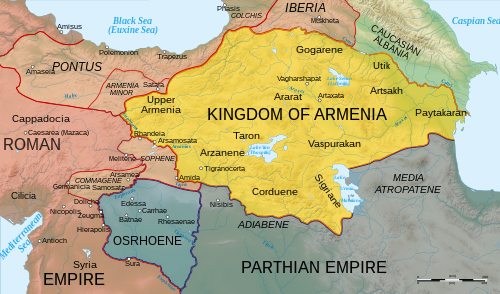 The Kingdom of Armenia, also the Kingdom of Greater Armenia,  or simply Greater Armenia (Armenian : Մեծ ՀայքMets Hayk;  Latin : Armenia Maior), sometimes referred to as the Armenian Empire, was a monarchy in the Ancient Near East which existed from 321 BC to 428 AD. Its history is divided into successive reigns by three royal dynasties: Orontid (321 BC–200 BC),   Artaxiad (189 BC–12 AD) and Arsacid (52–428). A royal family is the immediate family of a king or queen regnant, and sometimes his or her extended family. The term imperial family appropriately describes the family of an emperor or empress, and the term papal family describes the family of a pope, while the terms baronial family, comital family, ducal family, archducal family, grand ducal family, or princely family are more appropriate to describe, respectively, the relatives of a reigning baron, count, duke, archduke, grand duke, or prince. However, in common parlance members of any family which reigns by hereditary right are often referred to as royalty or "royals." It is also customary in some circles to refer to the extended relations of a deposed monarch and his or her descendants as a royal family. A dynasty is sometimes referred to as "the House of ...". As of July 2013, there are 26 active sovereign monarchies in the world who rule or reign over 43 countries in all. The Artaxiad dynasty or Ardaxiad dynasty ruled the Kingdom of Armenia from 189 BC until their overthrow by the Romans in AD 12. Their realm included Greater Armenia, Sophene and intermittently Lesser Armenia and parts of Mesopotamia. Their main enemies were the Romans, the Seleucids and the Parthians, against whom the Armenians had to conduct multiple wars. The Satrapy of Armenia (Armenian: Սատրապական Հայաստան Satrapakan Hayastan; Old Persian: Armina or Arminiya, a region controlled by the Orontid Dynasty was one of the satrapies of the Achaemenid Empire in the 6th century BC, which later became an independent kingdom. Its capitals were Tushpa and later Erebuni. Tigranes II, more commonly known as Tigranes the Great was King of Armenia under whom the country became, for a short time, the strongest state to Rome's east. He was a member of the Artaxiad Royal House. Under his reign, the Armenian kingdom expanded beyond its traditional boundaries, allowing Tigranes to claim the title Great King, and involving Armenia in many battles against opponents such as the Parthian and Seleucid empires, and the Roman Republic. The Roman–Parthian Wars were a series of conflicts between the Parthian Empire and the Roman Republic and Roman Empire. It was the first series of conflicts in what would be 719 years of Roman–Persian Wars. The Arsacid dynasty or Arshakuni, ruled the Kingdom of Armenia from 54 to 428. The dynasty was a branch of the Arsacid dynasty of Parthia. Arsacid Kings reigned intermittently throughout the chaotic years following the fall of the Artaxiad dynasty until 62 when Tiridates I secured Arsacid dynasty of Parthia rule in Armenia. An independent line of Kings was established by Vologases II in 180. Two of the most notable events under Arsacid rule in Armenian history were the conversion of Armenia to Christianity by Gregory the Illuminator in 301 and the creation of the Armenian alphabet by Mesrop Mashtots in c. 405. The reign of the Arsacids of Armenia marked the predominance of Iranianism in the country. Tiridates I was King of Armenia beginning in 53 AD and the founder of the Arsacid dynasty of Armenia. The dates of his birth and death are unknown. His early reign was marked by a brief interruption towards the end of the year 54 and a much longer one from 58 to 63 AD. In an agreement to resolve the Roman–Parthian conflict in and over Armenia, Tiridates I was crowned king of Armenia by the Roman emperor Nero in 66 AD; in the future, the king of Armenia was to be a Parthian prince, but his appointment required approval from the Romans. Even though this made Armenia a client kingdom, various contemporary Roman sources thought that Nero had de facto ceded Armenia to the Parthian Empire. Byzantine Armenia, sometimes Western Armenia, is the name given to the parts of Kingdom of Armenia that became part of the Byzantine Empire. The size of the territory varied over time, depending on the degree of control the Byzantines had over Armenia. The Armenian Highlands is the central-most and highest of three land-locked plateaus that together form the northern sector of the Middle East. To its west is the Anatolian plateau which rises slowly from the lowland coast of the Aegean Sea and converges with the Armenian Highlands to the east of Cappadocia. To its southeast is the Iranian plateau, where the elevation drops rapidly by about 600 metres (2,000 ft) to 1,500 metres (5,000 ft) above sea level. The Caucasus extends to the northeast of the Armenian Highlands. To the southwest of the Armenian Highlands is Upper Mesopotamia. In the Book of Genesis, the mountains of Ararat is the term used to designate the region in which Noah's Ark comes to rest after the Great Flood. It corresponds to ancient Assyrian Urartu, an exonym for the Kingdom of Van. The Seleucid Empire's influence over Armenia had weakened after it was defeated by the Romans in the Battle of Magnesia in 190 BC. A Hellenistic Armenian state was thus founded in the same year by Artaxias I alongside the Armenian kingdom of Sophene led by Zariadres. Artaxias seized Yervandashat, united the Armenian Highlands at the expense of neighboring tribes and founded the new royal capital of Artaxata near the Araxes River. 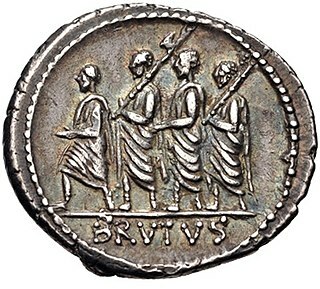 According to Strabo and Plutarch, Hannibal Barca received hospitality at the Armenian court of Artaxias I. The authors add an apocryphal story of how Hannibal planned and supervised the building of Artaxata. The new city was laid on a strategic position at the juncture of trade routes that connected the Ancient Greek world with Bactria, India and the Black Sea which permitted the Armenians to prosper. Tigranes the Great saw an opportunity for expansion in the constant civil strife to the south. In 83 BC, at the invitation of one of the factions in the interminable civil wars, he entered Syria, and soon established himself as ruler of Syria—putting the Seleucid Empire virtually at an end—and ruled peacefully for 17 years. During the zenith of his rule, Tigranes the Great extended Armenia's territory outside of the Armenian Highland over parts of the Caucasus and the area that is now south-eastern Turkey, Iran, Syria and Lebanon, becoming one of the most powerful states in the Roman East. Aramazd - Cognate of the Iranian Ahura Mazda (or Ormazd). Head of the pantheon, identified with Zeus in the interpretatio graeca . Until the late Parthian period, Armenia was a predominantly Zoroastrian-adhering land. With the advent of Christianity, both paganism and Zoroastrianism gradually started to diminish. The founder of the Arsacid branch in Armenia, Tiridates I was a Zoroastrian priest or magus. A noted episode which illustrates the observance by the Armenian Arsacids is the famous journey of Tiridates I to Rome in A.D. 65-66. With the adoption of Christianity in the early 4th century, Zoroastrianism's influence in the kingdom gradually started to decline. — Book of Proverbs , 1:2. Artashat – King Artashes I founded Artashat in 185 BC in the region of Vostan within the historical province of Ayrarat (Ararat), at the point where the Araks river was joined by the Metsamor river during the ancient era, near the heights of Khor Virap. The story of the foundation is given by the Armenian historian Movses Khorenatsi of the 5th century: "Artashes traveled to the location of the confluence of the Yeraskh and Metsamor [rivers] and taking a liking to the position of the hills (adjacent to Mount Ararat), he chose it as the location of his new city, naming it after himself." According to the accounts given by Greek historians Plutarch and Strabo, Artashat is said to have been chosen and developed on the advice of the Carthaginian general Hannibal. The city's strategic position in the Araks valley on the Silk Road soon made Artashat a centre of bustling economic activity and thriving international trade, linking Persia and Mesopotamia with the Caucasus and Asia Minor. Its economic wealth can be gauged in the numerous bathhouses, markets, workshops, and administrative buildings that sprang up during the reign of Artashes I. The city had its own treasury and customs. The amphitheatre of Artashat was built during the reign of king Artavasdes II (55–34 BC). The remains of the huge walls surrounding the city built by King Artashes I can still be found in the area. After losing its status as a capital, Artashat gradually lost its significance. Arsaces I was the first king of Parthia, as well as the founder and eponym of the Arsacid dynasty of Parthia, ruling from 247 BC to 217 BC. The leader of the Parni, one of the three tribes of the Dahae confederacy, Arsaces founded his dynasty in the mid-3rd century BC when he conquered the satrapy of Parthia from Andragoras, who had rebelled against the Seleucid Empire. He spent the rest of his reign consolidating his rule in the region, and successfully stopped the Seleucid efforts to reconquer Parthia. Due to Arsaces' achievements, he became a popular figure amongst the Arsacid monarchs, who used his name as a royal honorific. By the time of his death, Arsaces had laid the foundations of a strong state, which would eventually transform into an empire under his great-grand nephew, Mithridates I, who assumed the ancient Near Eastern royal title of King of Kings. Arsaces was succeeded by his son Arsaces II. 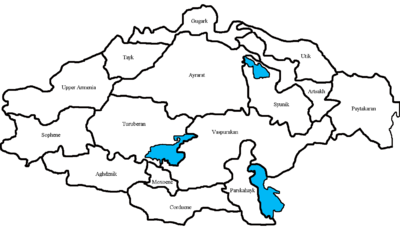 Artashat, is a town and urban municipal community in Armenia serving as the administrative centre of Ararat Province. It is located on the Araks River in the Ararat plain, 30 km southeast of Yerevan. 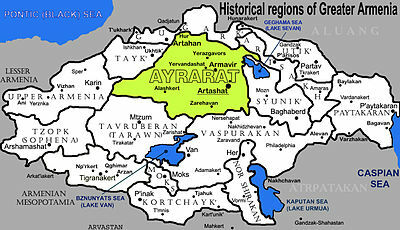 Artashat was founded in 1945 by the Soviet government of Armenia and named after the nearby ancient city of Artashat. Vologases I of Parthia sometimes called Vologaeses or Vologeses or following Parthian usage, Walagash was king of the Parthian Empire from about 51 until his death in 78. Artaxias I was the founder of the Artaxiad dynasty of Armenia, ruling from 189 BC to 160 BC. He was succeeded by his son Artavasdes I. 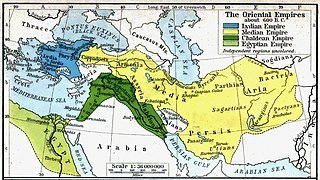 The Orontid dynasty, also known by their native name Eruandid or Yervanduni, was a hereditary Armenian dynasty and the rulers of the successor state to the Iron Age kingdom of Urartu (Ararat). The Orontids established their supremacy over Armenia around the time of the Scythian and Median invasion in the 6th century BC. The Kingdom of Commagene was an ancient Armenian kingdom of the Hellenistic period, located in and around the ancient city of Samosata, which served as its capital. The Iron Age name of Samosata, Kummuh, probably gives its name to Commagene. Commagene has been characterized as a "buffer state" between Armenia, Parthia, Syria, and Rome; culturally, it seems to have been correspondingly mixed. The kings of the Kingdom of Commagene claimed descent from Orontes with Darius I of Persia as their ancestor, by his marriage to Rodogoune, daughter of Artaxerxes II who had a family descent from king Darius I. The territory of Commagene corresponds roughly to the modern Turkish provinces of Adıyaman and northern Antep. Armavir is a village in the Armavir Province of Armenia. Cuneiform inscriptions of Urartian King Sarduri II were found at Armavir. Ancient Armenia refers the history of Armenia during Antiquity. It covers a period of approximately one thousand years after Prehistoric Armenia, beginning at the end of the Iron Age with the events that led to the dissolution of the Kingdom of Urartu, and the emergence of the first geopolitical entity called Armenia in the 6th century BC. It's during this period that Armenia rises as one of the great kingdoms in Western Asia in the 4th century BC, becomes an empire under the Great King Tigranes II, and converts to Christianity. This is also the period when the Armenian alphabet is created. It concludes with its demise and partition of Armenia in the 5th century AD, marking the beginning of Medieval Armenia. Zoroastrianism in Armenia dates back as far as to the fifth-century BC, notably during the Achaemenian and Parthian periods in the Armenian Highlands. Prior to Armenia's Christianisation, it was a predominantly Zoroastrian-adhering land. This article is about Khosrovidukht, the Armenian Princess of the Arsacid dynasty who lived in the 3rd century and 4th century. For the Armenian Poet who lived in the 8th century, see Khosrovidukht. Artashat ; Hellenized as Artaxata, was a large commercial city and the capital of ancient Armenia during the reign of king Artaxias I; the founder of the Artaxiad Dynasty of the ancient Kingdom of Armenia. The name of the city is derived from Iranian languages and means the "joy of Arta". Founded by King Artaxias I in 176 BC, Artaxata served as the capital of the Kingdom of Armenia from 185 BC until 120 AD, and was known as the "Vostan Hayots". ↑ "Kingdom of Greater Armenia". Oxford University Press . Retrieved 20 November 2013. ↑ Adontz, Nicolas (1970). The Reform of Justinian Armenia. Lisbon: Calouste Gulbenkian Foundation. p. 310. ↑ "Armenia - Geography & History". britannica.com. Retrieved 27 March 2018. ↑ Gilman, Ian; Klimkeit, Hans-Joachim (11 January 2013). "Christians in Asia before 1500". Routledge. Retrieved 27 March 2018– via Google Books. ↑ (in Armenian) Movses Khorenatsi. History of Armenia, 5th Century (Հայոց Պատմություն, Ե Դար). Annotated translation and commentary by Stepan Malkhasyants. Gagik Sargsyan (ed.) Yerevan: Hayastan Publishing, 1997, 2.49, p. 164. ISBN 5-540-01192-9.